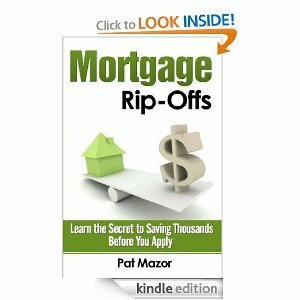 ← Your Mortgage – Does the Mere Thought of the Word Scare You? 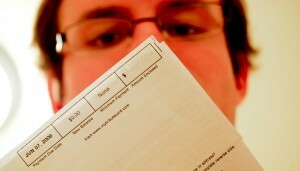 When is the best time for paying credit card bills? I used to definitely be a proponent of paying credit card bills once a month, on the due date, and not one minute sooner. My mother instilled into my brain when I was a child that paying credit card bills – or, actually any bill before the due date, was a terrible idea because I would be passing up the interest I could earn from keeping that money in my bank account until the last possible moment, and what if I ever needed that money for something else, anyway? Well, so much for the interest, as there hasn’t been any for years! But you know how we tend to stick stubbornly to the ways we learned many years ago! In addition, my newest card – the one that gives me the “best” points – has a reasonably low credit limit, since I haven’t had it long. Although I am certain the limit will be raised, the low limit becomes critical when I am waiting for the due date to pay in full, but my balance is high and I need to buy something else (I say “need” here advisedly because all these purchases are normal living expenses – I am not talking about buying jewels and furs here). Yes, I could just pay cash, but I want those points! The next thing I discovered was that on a recent credit check, I got dinged for having a card that was near its limit. Oops….and the final piece of the puzzle is that I am 100% committed to not paying the bank one red cent in interest. So, finally it occurred to me: give up, lady! Do it the right way, and you won’t have to worry about this at all! So, this is how I decided to handle the problem: I keep track of my credit card charges in the best checkbook/money management program I have ever used: Moneydance. ** So at the end of every week, I look at all the charges for the week, and make sure they are legitimate. Then, I do a very simple thing. I am committed to paying credit card bills by the week, and I do just that. Every week, without fail, I pay the entire bill. If you follow this simple method, soon you will see several benefits accrue: you will never have to worry about whether you have enough money left at the end of the month to cover all those charges, you will get lots of the rewards you wanted when you chose your card, and you will never have to pay the bank a dime in interest. In addition, unless your weekly expenses are really high, you won’t come near your limit, even if it’s a bit low, and you will show a steady, stable history of payment. And – did I mention: you won’t pay any interest! Win-win all around! Well, maybe it’s not so much a win for the bank – but I presume that’s okay with you – right? Now I understand that everyone might not be in a position to just “pay off the bill.” Some people have large amounts of credit card debt and if you are one of those, this post is not aimed at you – at least, not yet. There are dozens of bloggers, including me, that are willing and eager to help you figure out a way to get out from under THAT problem, and when you do – and you will, come back to this post and see about instituting this little method to stay out of that debt which you worked so hard to pay off. When that happens, let me know and I’ll celebrate with you! Start off by doing whatever you have to do to get that credit card to a zero balance (I know that’s the topic of another entire series of posts, but this advice is aimed mostly a people who already have their credit cards well under control). At the end of the week, on whichever day is best for you, but at least once per week, pay the card off in full. **http://moneydance.com – this is not an affiliate link, but I love it that much! Moneydance works for Mac and PC (and with my data files kept in Dropbox, I can access the program from any computer that holds the program, which is all of them that I use.) I can use the Mac to interface with it today, and the PC later on today. The hardest thing I have to remember is to close the program on one computer before opening it on the other, and Moneydance even handles that gracefully – I just don’t like to have to mess with figuring out which file I want to keep.